Pecorino Romano is a hard, salty Italian cheese, suitable primarily for grating, made out of sheep milk (the Italian word pecora, from which the name derives, means sheep). Pecorino Romano cheese, whose method of production was first described by Latin authors like Varro and Pliny the Elder about 2000 years ago, was first created in the countryside around Rome. 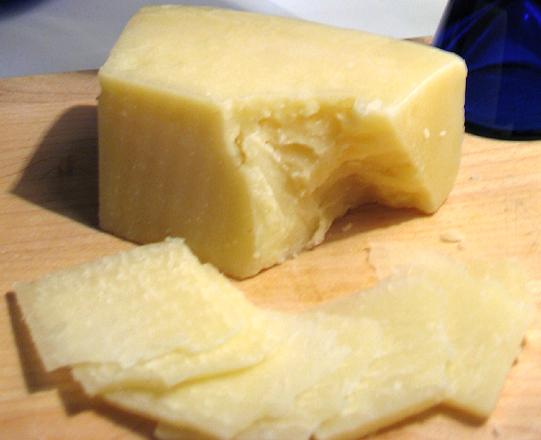 Pecorino Romano was a staple in the diet for the legionaries of ancient Rome. Today, it is still made according to the original recipe and is one of Italy's oldest cheeses. It is used mostly in Central and Southern Italy.